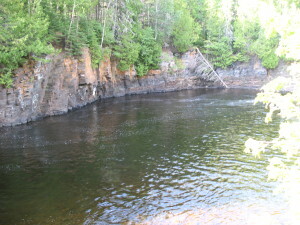 Soldier’s Hole is a favourite swimming spot for many Thunder Bay residents. 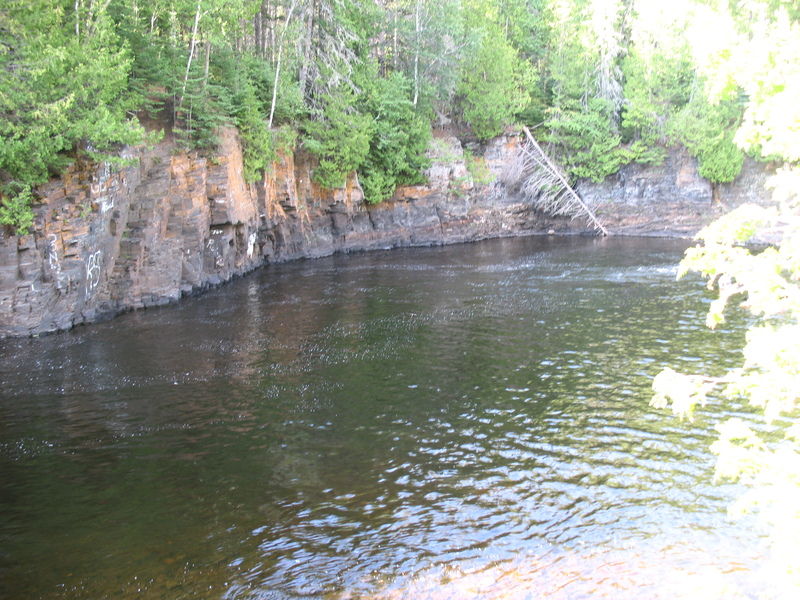 Nearly every local has a story to tell about swimming and jumping off the rocks at Soldier’s Hole. I am wondering how the highway construction is going to affect this place that has been the scene of so many childhood memories for local residents. There are a number of ways to gain access Soldier’s Hole. You can come in from Kinsmen Park, Centennial Park, or bike in from Shuniah Mines. But I think the most common way is to park along Copenhagen Road and hike down the short trail. From Highway 17 turn onto Copenhagen Road and park on the left where there is currently a dirt parking area. See the link to the map above. Right now there is a lot of construction going on in this area and once the construction is complete I am not sure you will be able to get to Soldier’s Hole from Copenhagen Road as easily. From the parking area walk toward the trees and you will easily find the trail as you enter the forest. Follow the well beaten trail toward the river. The trail has some sections where you walk along the top of a very steep drop. If you bring children with you be sure to keep them in hand through these areas.